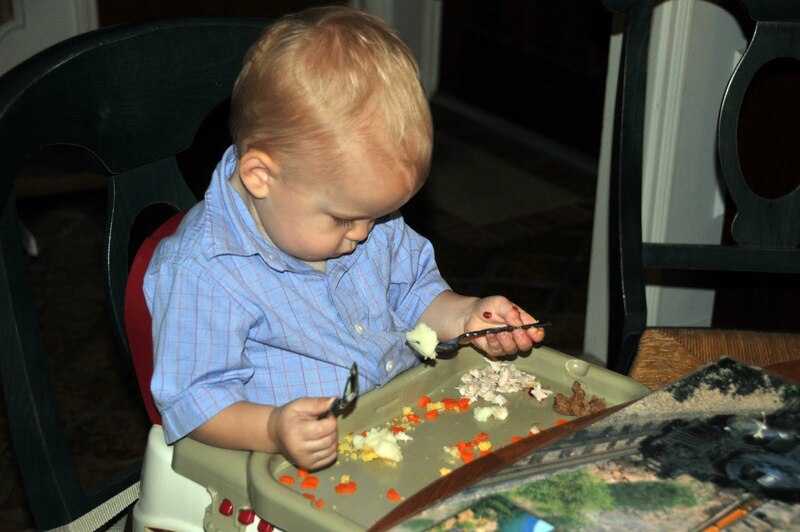 Before doing Christmas posts, we decided to post a few pictures from Thanksgiving. As always, we started our morning bright and early at the Thanksgiving Day Parade. 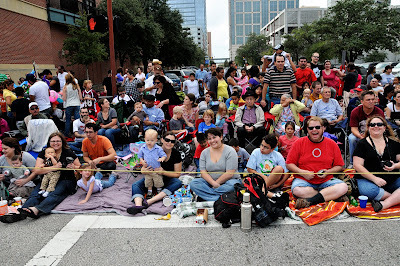 This year we knew two groups in the parade. Inertia, Westside's dance team, and our friends Stig and Sean. 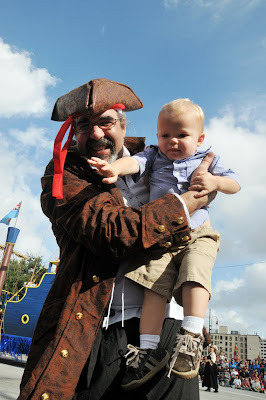 Below is a picture of Stig "the pirate" with Jackson. As you can tell, he didn't like being kidnapped by a pirate. 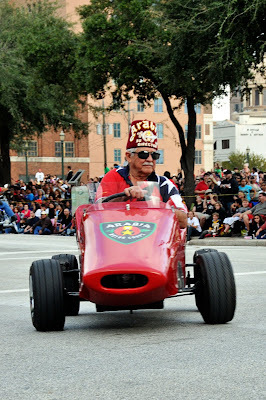 We thought the Shriner below looks like Mr. Leo. 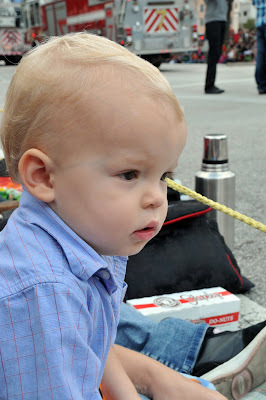 This year Jackson was much more into the parade than last year. 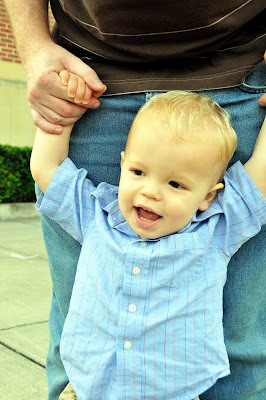 Although we expected smiles, clapping and pointing - this was his face most of the parade. 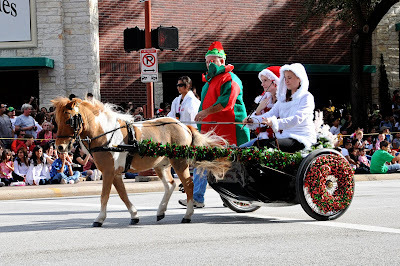 These miniature horses were his favorite thing. 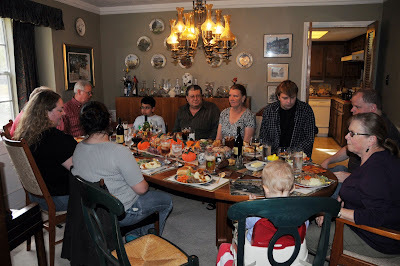 After the parade, we headed over to Grandma and Granddad MacGregor's house for Thanksgiving dinner. 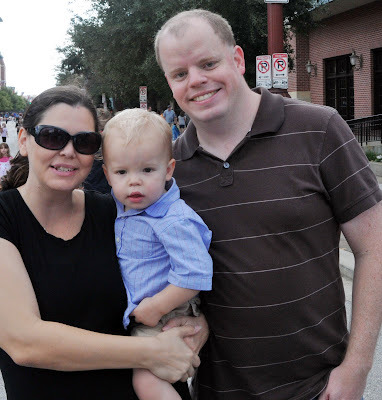 My dad's doppleganger (sp?)!! Hilarious!